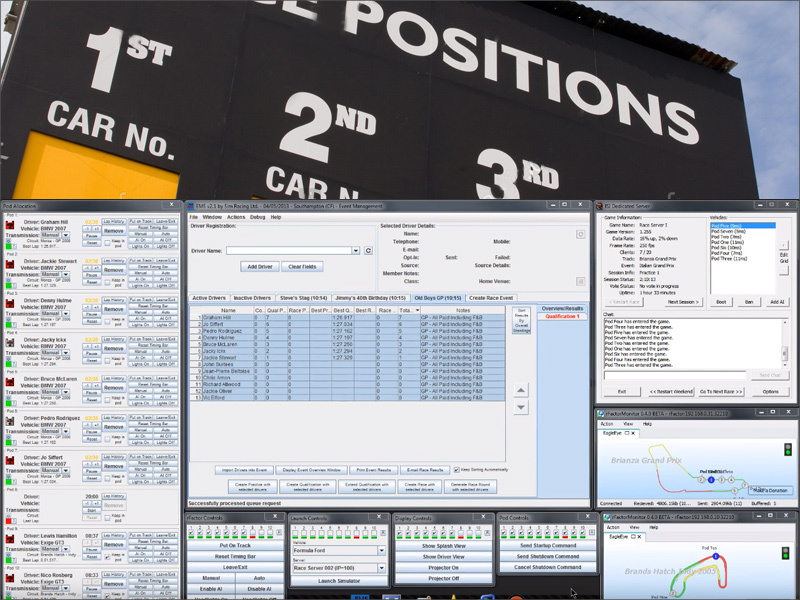 The control station enables you to control all of the simulators in your centre from a single computer, with a click of the button you can prepare all simulators for the race, setups the track choice, car and race conditions. Vesaro Sim Centre + Leaderboard; includes a separate leader board display showing the session timings and overall race results. Vesaro Sim Centre + Leaderboard & Race Display; includes the leader board display and a separate race display which will show the race in progress from multiple camera angles giving by standers a live coverage view of the action. The venue management system supports Assetto Corsa and Rfactor 2. For our Iracing Sim Room solution please get in touch for pricing. To find out more information and to receive a bespoke proposal including free layout design service please get in touch. All solutions include full on-site installations and training anywhere in the world and all costs are included in the price. Pricing does not include individual simulators.